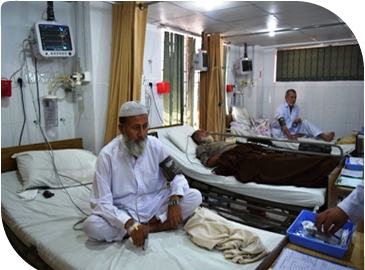 Kuwait Hospital Peshawar was established in 1983 and was governed by Kuwait Red Crescent Society. It was financed by some donors in Kuwait. 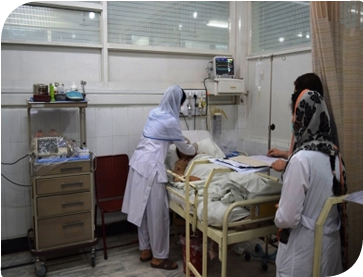 The hospital was non-profit, non-government and non sectarian dedicated to saving the lives and relieving the suffering of Afghan Refugees who had taken temporary refuge in NWFP, through health care. This was the basic policy and purpose of the hospital. It was also registered with afghan commissionerate Peshawar as a charity hospital. In 1997 the name of Society changed to Kuwait Joint Relief Committee. In September 2005 an agreement was executed between the governing body of the hospital in Kuwait and Peshawar Medical College for the transfer of management in order to convert this hospital in to a teaching facility. Kuwait Teaching Hospital is a 220 bedded charity hospital with all major & some of the minor specialties of medical disciplines. It is attached to Peshawar Medical College as a teaching hospital. 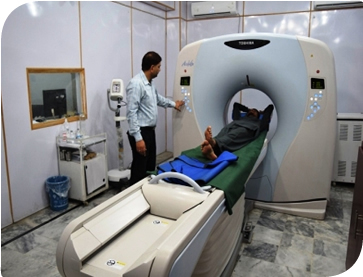 The hospital was visited by health regularity authority, PM& DC, and College of Physician and Surgeons of Pakistan (CPSP) and recognized by all the three organizations as a charity and a teaching hospital. It is located on the main university road across abdara chowk. After 24 hrs an additional amount of Rs. 200 will be charged for next 24 hrs. 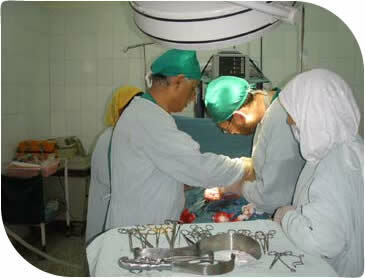 Which includes Air Conditioned accommodation along with excellent medical and nursing care. Lab Tests are done at nominal rates which are comparable or better than even the public sector hospitals. 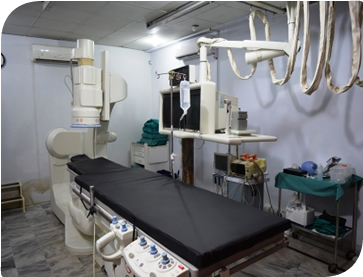 X-Ray, Ultrasound, CT-Scan, MRI Radiology Procedures are done at nominal rates which are comparable or better than even the public sector hospitals. (For other facilities and services click here).